Imagine getting married in the Historic Gardens of the Four Seasons Hotel in an evening ceremony in Italy. We helped our clients at Hyegraph create these gorgeous letterpress wedding invitations printed in charcoal ink on crane acid-free, lettra stock from Oblation Papers. The result is a thick, heavy, ultra elegant invitation with an antique-look just like the place where the ceremony will be held in Italy. 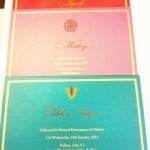 Old word charm and cultural nuances is what this wedding will entail and the invitations will suite the event in an elegant charm. 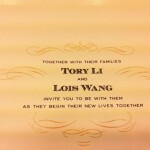 The letterpress is tactile and is very unique on these cream colored stock invitations and accompanying reception cards and rsvp cards. 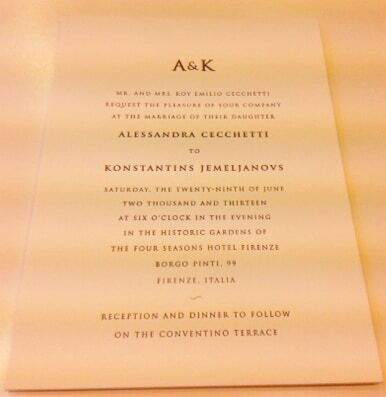 The couple’s monogram: A & K is inscribed on top of the invitations as well as the reception and response cards. 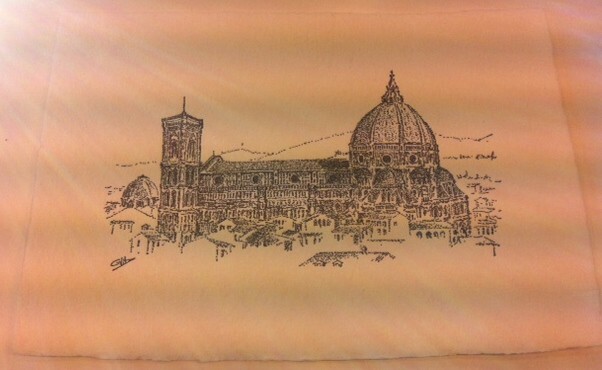 Our client’s family member created an Original Artwork Design of a landmark in Florence, Italy and we were able to have it printed in Letterpress on Crane Lettra, acid-free stock with charcoal ink. The texture of the paper, the charcoal color of the ink and the incredible drawing of the Italian landmark creates a unique piece of art which our couple is mailing out along with their wedding invitation suite. The above wedding letterpress wedding invitation and original artwork is more than a piece of paper or information on a screen, it is an authentic document etching the time and place of the event both in writing and visually with the art. This is a true, unique and elegant invitation and keepsake art work from the event for the families and attendees to enjoy as well as the wedding bride and groom. Please call, email or stop by at Hyegraph at the Embarcadero Center in San Francisco if you would like us to help you design your invitations. Please Make An Appointment for a FREE DESIGN CONSULTATION, See our Website for all our stationery and invitations, check out our blog for more inspiration. © Hyegraph Invitations & Calligraphy. All Rights Reserved.